As per the recent Lancent study released in India on Indian healthcare system, India is home to 17.5% of earth’s population and accounts for 20% of the global burden of disease. This coupled with the growing cost of medical treatment is one of the primary reasons driving the people of India into poverty. Understanding the need–gap, on the occasion of World Homeopathy Day, Dr Batra’s Healthcare, one of Indian’s largest organised Homeopathy player, has pledged to treat 1,00,000 underprivileged people for free. Individuals can refer people in need by dialling– 087674 16350. Keeping in mind the economic burden faced by this section of society on acute and chronic ailments, Dr Batra’s™ has included an array of aliments related to skin, hair, allergies, respiratory ailments, thyroid, diabetes, obesity, women and child related disorders and many more that will be treated free of cost. This is not the first time that Dr Batra’s™ has come out to support the healthcare system. Just recently, the company also administered free prevention doses for Chikungunya. Dr Batra’s™ Positive Health Foundation, a CSR arm of Dr Batra’s Group of Companies, has been making a profound difference to the lives of many orphans, handicapped children and the elderly. The Foundation currently runs over 175 Free Clinics across the country and additionally provides free treatment to partner NGO’s. It also conducts CSR activities in a number of institutions such as Victoria Memorial School for the blind, Shepherd Widow’s Home, Mercy Old Age Home, Anurag Services (Old Age Home), Action India and People for Animals. It also grants scholarships to deserving students who wish to pursue studies in the Homeopathy but cannot afford the fees. To avail this facility for the ones in need, just dial 087674 16350 and refer them to the nearest Dr Batra’s™ Homeopathy Clinic in your vicinity. Dr Batra’s Health Care Group was founded by Dr. Mukesh Batra in 1982 in Mumbai. The Group today is the leading Homoeopathic healthcare corporate, having 227 clinics across 131 cities with presence in India, Dubai and London. In 2009, the company introduced Aesthetic Services through its flagship brand Dr Batra’s Aesthetic Solutions Pvt. Ltd. The aesthetic solutions arm of Dr Batra’s offers wide services ranging from hair transplant, obesity solutions, to an array of skincare solutions. The brand has also made significant progress and development in personal and healthcare products under its well established division Dr Batra’s Positive Health Products Pvt. Ltd. This marks a phenomenal contribution by Dr Batra’s due to its individualized treatment and care to over 10 lakh patients across the globe, including 3 lakh hair patients and 1 lakh skin patients. 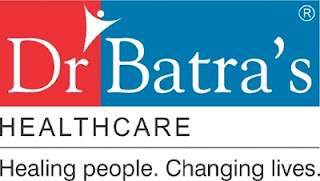 Dr Batra’s Cyber Clinic (www.drbatras.com) has been listed in the Limca Book of Records (Editions 2004 and 2005) for becoming the first-ever cyber clinic to offer online consultation to over 4.5 lakh patients every year. It has also launched the world’s first tele-homoeopathy clinic which enables real-time multi-location connectivity. The brand is the only Homeopathic Most Trusted No. 1 Ranked Brand by The Brand Trust Report – India Study 2016, and feted as a Power Brand for the year 2012 by Planman Media. Dr Batra’s is the world’s first homoeopathic healthcare corporate to receive the much-coveted ISO 9001-2008 Certification. Moreover the brand is well known as a philanthropic work for underprivileged sections of the society to get free treatment.